In order to comply with the Family Educational Rights and Privacy Act (FERPA) and the district’s Disclosure of Education Records policy, we have compiled the following guidelines. School districts (K–12) outside JCPS may request records online via the File Tracker records system. After entering File Tracker, click on the Out of County Request tab at the top of the page, fill out the request form, and click the Submit button at the bottom of the page. A request is automatically emailed to the records clerk at the location where the file is currently located. Records will be sent to you via an encrypted email. 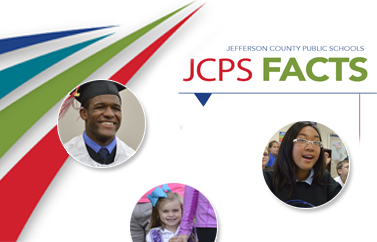 Student is currently enrolled in a JCPS school: If the student is active in a Jefferson County public school, please contact the current school to obtain a copy of the student’s records or transcript. Student is OVER 18 and no longer enrolled in JCPS: If the student is inactive, attended a Jefferson County public school, and is over the age of 18, requests must be made through our online records request system (click here for instructions) or by calling (502) 485-3141 and listening to a recording with detailed instructions. If you need additional assistance, you may call (502) 485-3211 to reach a staff member. This includes colleges, legal entities, and employers needing graduation verification. Student is UNDER 18 and no longer enrolled in JCPS: If the student is inactive, attended a Jefferson County public school, and is under the age of 18, please call the Records Room at (502) 485-3213.